Found 3 file extension associations related to Smart Shoot and 1 file format developed specifically for use with Smart Shoot. Smart Shoot lets you take your pictures your way. It shoots five frames for each picture. 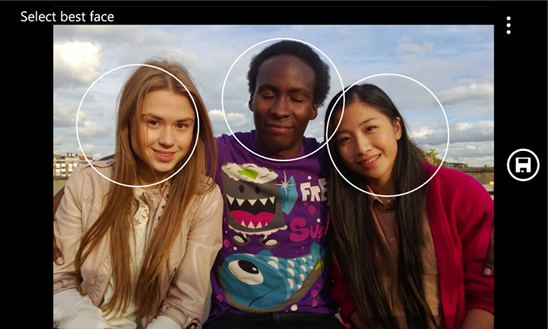 You can then pick the best faces from each frame, and Smart Shoot automatically creates a great picture. Alternatively, you pick your favorite of the five and then remove any people or objects, ensuring you get the picture you want. When you're done, share your pictures directly with friends on Facebook, Flickr and Twitter.If you like Smart Shoot, add Creative Studio to your Nokia Lumia app collection for even more great picture editing features. If you need more information please contact the developers of Smart Shoot (Nokia Corporation), or check out their product website.